We’ve always led the field in innovation. 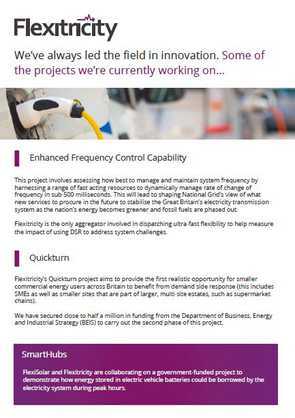 This brochure gives an overview of some of the projects we’re currently working on. 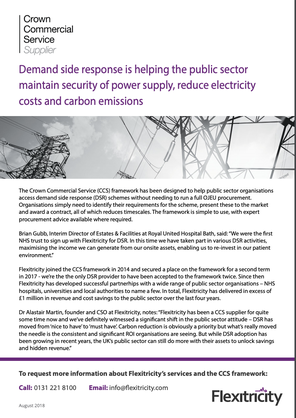 The Crown Commercial Service (CCS) framework has been designed to help public sector organisations access demand side response (DSR) schemes without needing to run a full OJEU procurement. 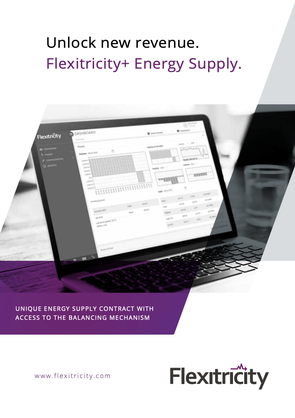 Flexitricity+ is the first opportunity for electricity customers and small generator owners to optimise their flexibility on the day, by trading in National Grid’s Balancing Mechanism (BM). For energy users, this is a major new revenue source. 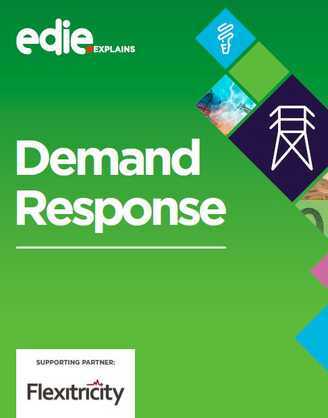 Frequency response is how electricity loads, small generators, batteries and large power stations work with National Grid to keep the electricity system stable. 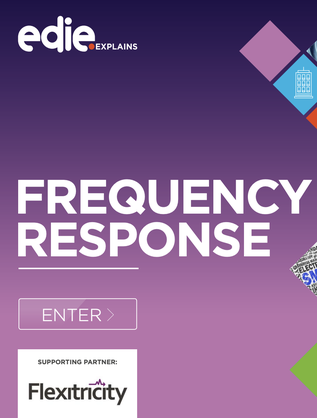 But which organisations are most suited for frequency response? What are the differences between 'dynamic' and 'non-dynamic' frequency response? And what are the overarching business benefits of tapping into the frequency response market? We’ve been generating new revenue for businesses since 2008. 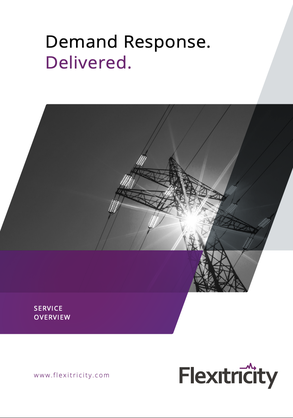 We’re the only full-service, round-the-clock demand-response aggregator in GB. If it’s happening in Britain, the chances are that we started it. Flexitricity Footroom is Britain’s first system for making use of excess wind power. 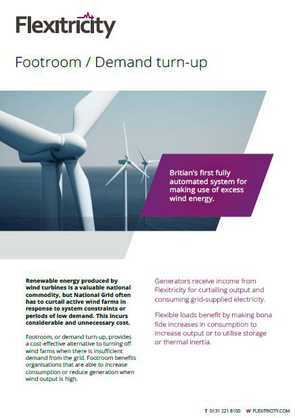 Footroom benefits organisations that are able to increase consumption or reduce generation when wind output is high.